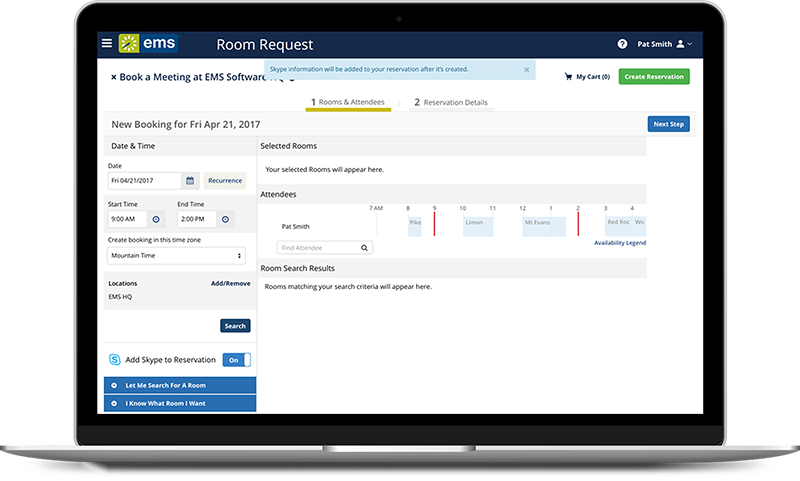 EMS Software™ is a room scheduling platform with an online reservation request portal. It is available to all UT-Austin Colleges, Schools and Units (CSUs) through a centralized campus license. EMS Campus was developed for universities and is the industry leader for workspace and resource management in higher education. CSUs may now leverage their buying power by joining the EMS Campus license at a fraction of the cost of an independent license. EMS is a flexible software that can fit your needs to manage any space or inventory from conference rooms to parking garages, study spaces to dorm beds. Take advantage of the communication tools to maximize your efforts with automated emails, reminders and notifications. EMS allows you to customize your workflow for approvals and billing while providing robust reporting on your entire operation. EMS users on campus include Commons Conference Center, Dell Medical School, Marine Science Institute, McCombs School of Business, Parking and Transportation Services, Cockrell School of Engineering and Thompson Conference Center. What is included in the EMS Campus License? A desktop application for admin users, web portal for requests, digital signage and wayfinding modules with the option to add an Outlook plug-in. Unlimited users, a dedicated team for in-house training, support and server maintenance. Will other CSUs be able to see my data? Each CSU is only given access to view and edit their own space and data, however, certain lists are shared, including the client database. How is the Server maintained? The EMS dedicated Server is maintained by The University’s Technology Resources Group, is backed up nightly, and may serve as the official state record for items such as approval forms, contracts and invoices. Will EMS integrate with current or future UT Austin’s Financial system? Yes. Commons and the Technology Resources Group are committed to integrating EMS billing with UT-Austin’s Accounting system.